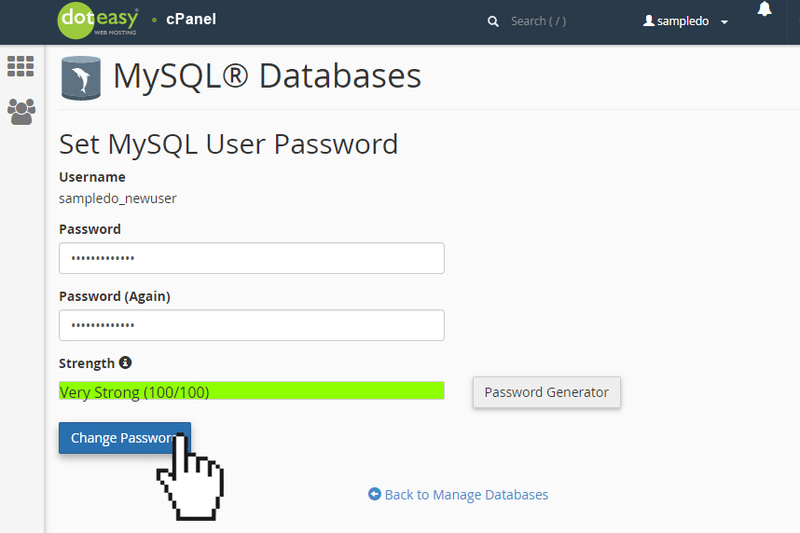 You can change a database user’s password. You may want to do this for security reasons. Changing password periodically is a good security practice, or you may need to do this if you have forgotten the password. 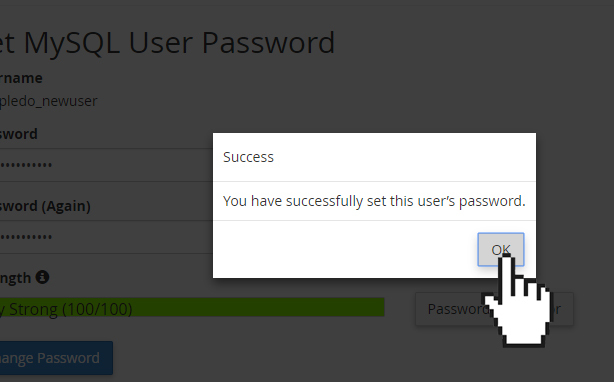 Under Current Users, locate the user for which you want to change the password, and then click Change Password. In the Password and Password (Again) text boxes, enter the new password. The new password take effect immediately.